As we all settle into 2019, we are feeling refreshed and ready to tackle the challenges that a New Year brings. We would like to congratulate Naomi Osaka and Novak Djokovic, both rising to the top in this years most successful Australian Open. Osaka has since risen to number four in the world and Djokovic has maintained his commanding number one spot and winning the most Australian Open males finals in history. I had the luxury of exploring Kangaroo Island and Adelaide with my family over the break and had a wonderful time. We hope that you had a lovely New Year and found the time to spend with family and friends. 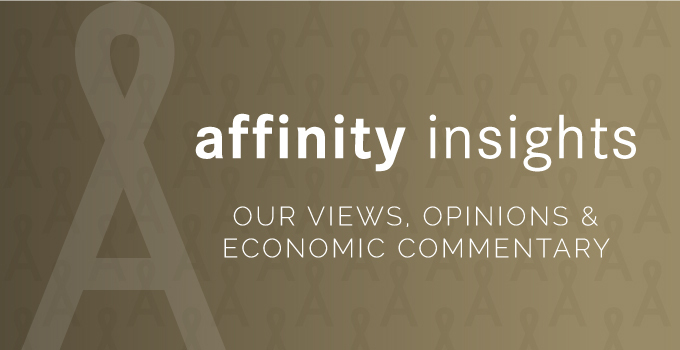 We do hope you enjoy this issue of Affinity Insights, and we welcome any feedback or suggestions for future topics. 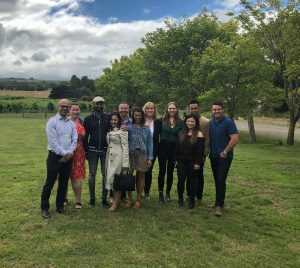 The Affinity team had a wonderful time visiting the Yarra Valley on a wine, cheese and chocolate tour to celebrate the end of our 2018 working year. We all enjoyed a glass of bubbly on the Chandon lawns and tried a delicious selection of cheeses at the Yarra Valley Dairy. The team then went onto enjoy a beautiful lunch at Rochford Winery, paired with a selection of delicious wines. It was a great day to reflect on all that we had achieved as a team throughout 2018. With more than AUD $6.8 trillion in assets under management as of 30 June 2018, including more than AUD $1.1 trillion in ETFs, Vanguard is one of the world’s largest global investment management companies. 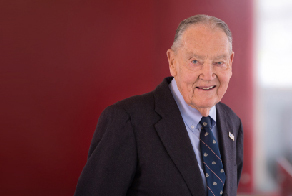 On January 16th Vanguard Founder John Clifton Bogle passed away, aged 89. Mr Bogle began his career in 1951 after graduating honors in economics from Princeton University. His thesis on mutual funds caught the eye of fellow Princeton alumni Walter L. Morgan. Mr. Morgan hired the ambitious 22-year-old for his investment management firm, Wellington Management Company. In 1967 Mr. Bogle led the merger of Wellington Management Company with the Boston investment firm Thorndike, Doran, Paine & Lewis (TDPL). Seven years later, a management dispute with the principals of TDPL led Mr. Bogle to form Vanguard in September 1974 to handle the administrative functions of Wellington’s funds. The Vanguard Group of Investment Companies commenced operations on May 1, 1975. In 1976, Vanguard introduced the first index mutual fund—First Index Investment Trust—for individual investors. Ridiculed by others in the industry as “un-American” and “a sure path to mediocrity,” the fund collected a mere $11 million during its initial underwriting. Now known as Vanguard 500 Index Fund, it has grown to be one of the industry’s largest, with more than $441 billion in assets. Mr. Bogle named the company after Admiral Horatio Nelson’s flagship at the Battle of the Nile in 1798; he thought the name “Vanguard” resonated with the themes of leadership and progress. 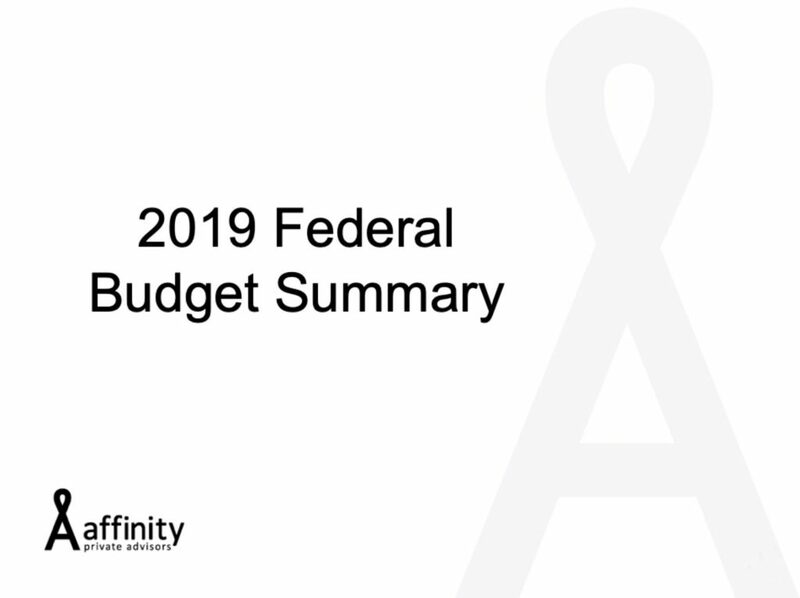 We would like to make you aware of the Treasury Laws Amendment (2018 Superannuation Measures No.1) Bill 2018 which was introduced to Parliament in May 2018 and has been effective since 1 July 2018. Below provides a description of the how the Bill can impact individuals with multiple employers. The Bill allows certain individuals with multiple employers to opt out of Super Guarantee (SG) by applying to the Commissioner of Taxation for an employer shortfall exemption certificate. An employer covered by the shortfall exemption certificate is not required to pay SG to an employee for the quarter to which the certificate relates. Such certificates prevent an employer from having an SG shortfall in relation to the employee for a quarter. 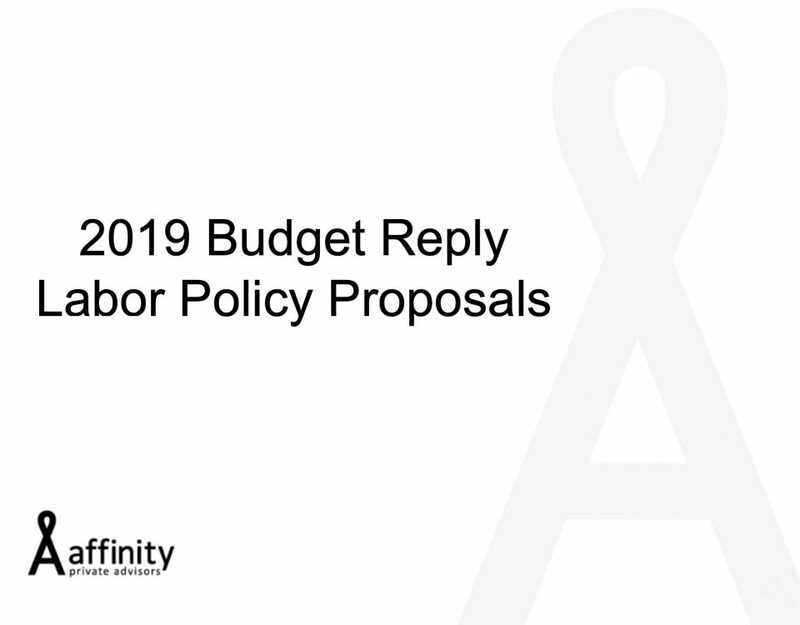 The Commissioner may only approve the request if satisfied that without the certificate the employee is likely to exceed the concessional contribution cap for the financial year. 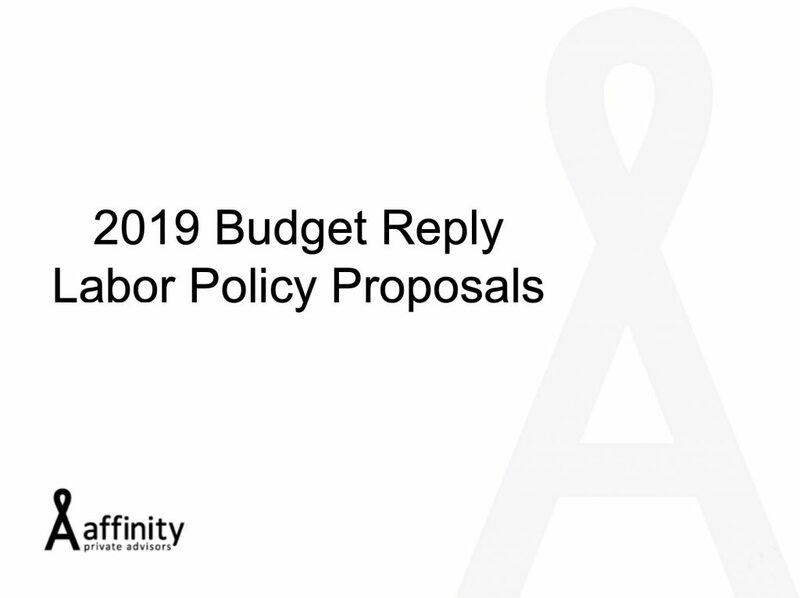 This arrangement will assist certain high-income earners with multiple employers in managing their concessional contribution cap. Eligible employees many need to negotiate with their relevant employers to have the forgone contributions paid as additional salary. We will be able to help advise if this SG Opt Out Bill will be beneficial to your specific circumstances in your next meeting. In the short term markets can be volatile, however over the long term, history has shown that markets tend to move in cycles. While markets can face periods of rapid decline, they eventually recover and move onto new highs. 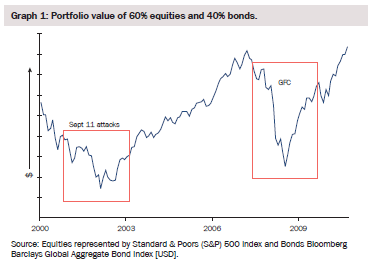 As shown in Graph 1, the market down turns following the September 11 terrorist attacks in 2001 and the global financial crisis (GFC) of 2008 were both eventually followed by strong market recovery. The case study below illustrates the benefits of sticking with a long-term investment strategy and not letting emotions guide your investment decisions. 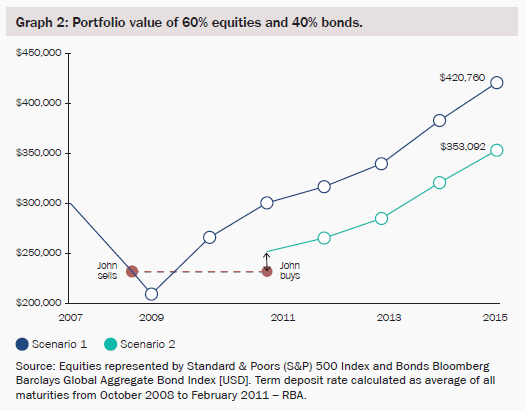 Case Study: John had investments worth $300,000 in September 2007. 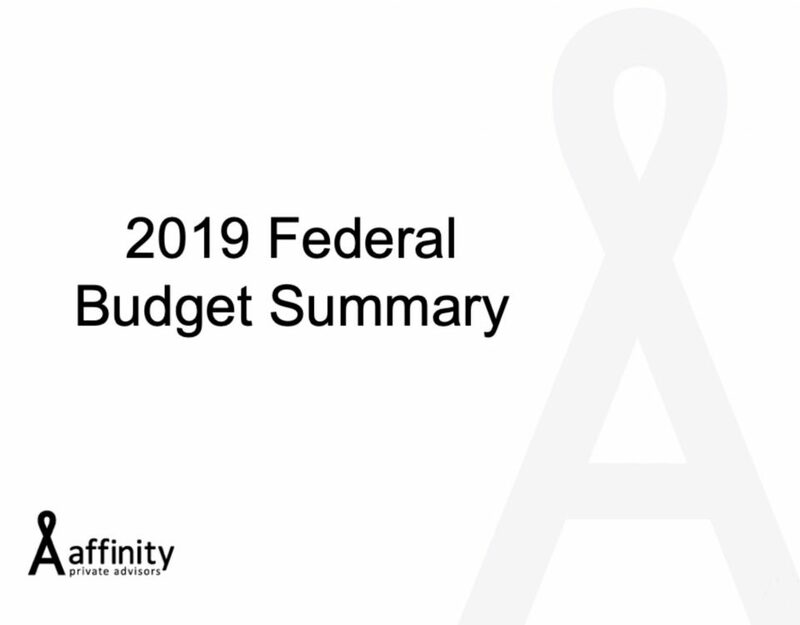 John’s Affinity advisor recommends that he holds his investments over the long term to meet his investment objectives. 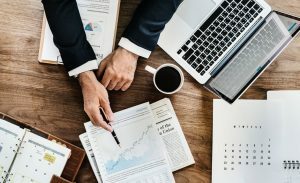 John does this and despite the market volatility you can see that by February John’s investments were worth $420.760, John earned $120,760 over the period toward achieving his goals. 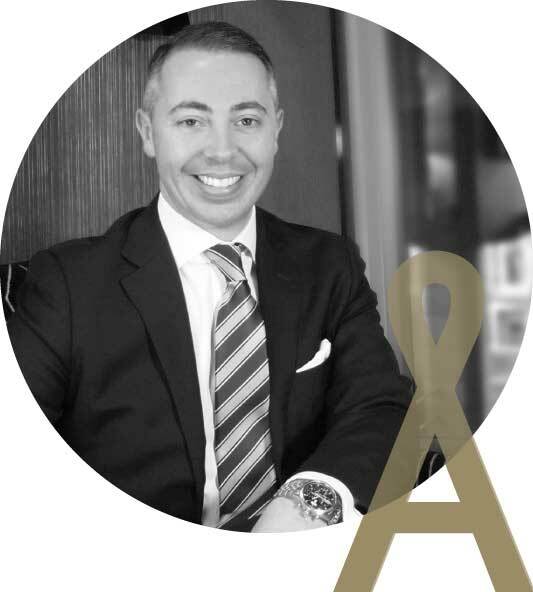 John, fearful of losing his investment capital during the GFC, sold his investments and put the proceeds into a high interest bank account. The market recovered and John had eventually regained enough confidence by February 2011 to re-enter the market. By February 2015, John’s investments were worth $353,0924 instead of $420,760. Had John stayed in the market, he would have had an additional $67,6685 for his investment pool. 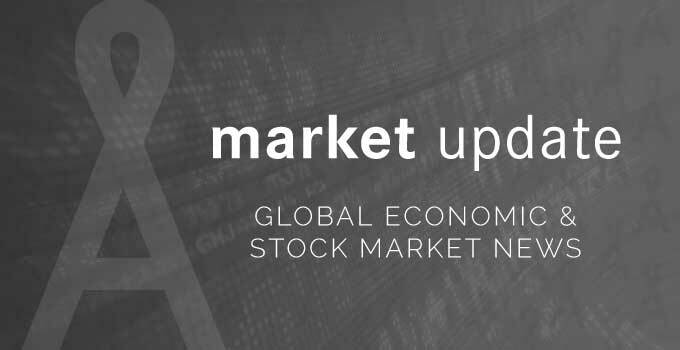 We’re not very far into the year, however it seems the markets are choosing to stay exactly where they left off. There is increasing doubt and volatility virtually universally across the markets. 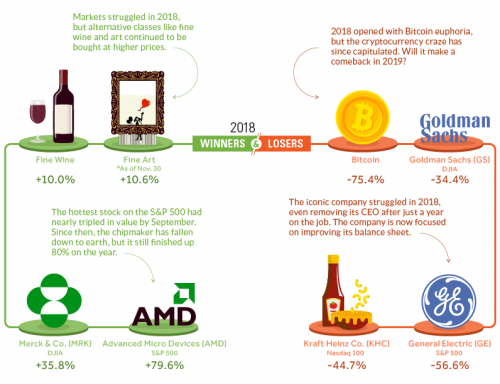 Its hard to predict what will become of the markets throughout 2019, however before we begin pulling apart the New Year, its worth reviewing 2018 to see how its results impacted investors. Breaking down the each asset class, currency and sector, it’s clear that each struggled across 2018 simultaneously.